BitQuick is a Bitcoin exchange that allows you to buy or sell bitcoins with cash money. 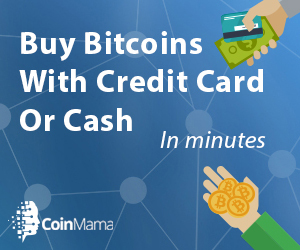 To buy Bitcoin with a credit card, ATM or a wire transfer click here. BitQuick is considered to be a trusted Bitcoin exchange (although it was hacked in March 2016). BitQuick accepts only Cash deposits. That means you will have to deposit the cash into the Bitcoin sellers account. Once the seller sees your deposit, he then release the bitcoins to your account on BitQuick. Wire transfers, in-person account to account transfers, ACH transfers, check deposits, Wells Fargo Sure Pay, Chase QuickPay and any other unauthorized deposit methods are not be accepted. BitQuick is operating in 49 US states. New York is the only state not supported to the BitLicense. BitQuick requires an ID verification for the purchase of bitcoin, so it is a less anonymous method compared to other cash methods, such as LocalBitcoins. BitQuick enforces no limits. Also, buy and sell offers are publically available on the order book. In most cases you can receive your coins within one hour of your payment. BitQuick does not charge sellers any fees. Also, If you are selling bitcoins you can often sell your coins for higher than market rate. BitQuick has a good Customer Support via email, Twitter, and Facebook. Select an order from the current order book. Pay the described sum in cash to the account shown on the confirmation page by going to any local branch of the sellers bank and filling out a deposit slip. Upload the receipt to link that is provided in your email. Coins will typically be sent within 3 hours of the funds being confirmed by the seller. Fill out the sell form. Deposit the necessary amount of Bitcoin (BTC) for sale into your personalized escrow address that is provided after you create your order. Receive cash deposits from buyers on BitQuick.co instantly, and confirm these deposits with BitQuick. An email will be sent automatically to remind you when a deposit is made. It is strongly advised not to store your cryptocurrency on an exchange, only on a dedicated wallet that you own. Here you can read more about what is a Bitcoin Wallet and here about the advantages of HD wallets. To learn more on buying Bitcoin with a credit card, ATM or a wire transfer click here. Don’t forget to get a wallet – Keep your coins safe! It is strongly advised not to store your cryptocurrency on an exchange, only on a dedicated wallet that you own. Here you can read more about what is a Bitcoin Wallet.